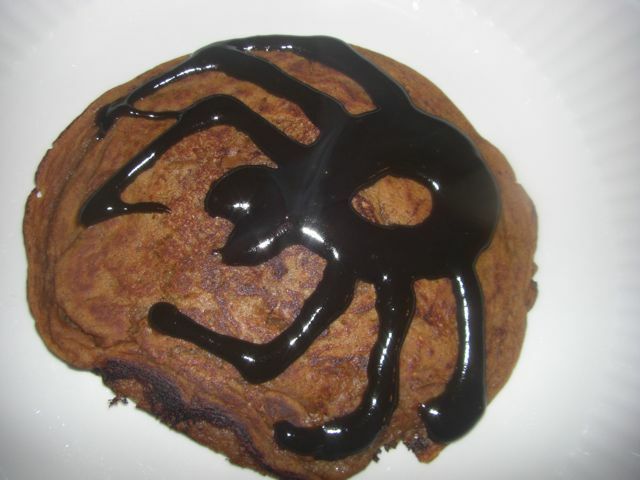 Around this time a year or two ago, I made some fabulous Halloween Pumpkin Pancakes with inspiration from this recipe from the not martha website. To veganize the pancakes, I substituted vegan butter and used either EnerG Egg Replacer or 1 smashed banana to replace the egg. 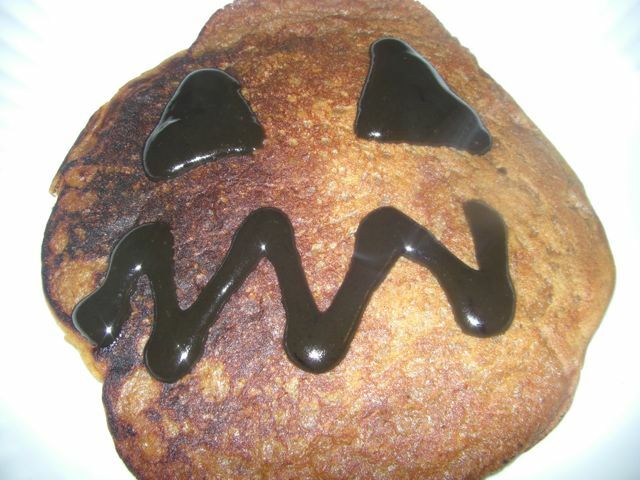 They were fantastic and fun to eat! Overall, these pancakes rated a solid 4 out of 5 carrots on the veganlicious scale! One of the greatest things about fall is the abundance of pumpkins and dishes created with pumpkins. 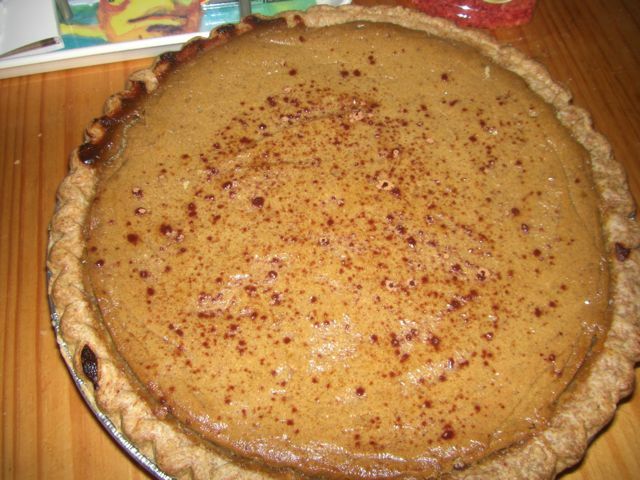 One of the traditional desserts I make year after year is pumpkin pie. My all-time favorite recipe comes from Tofu Cookery by Louise Hagler. 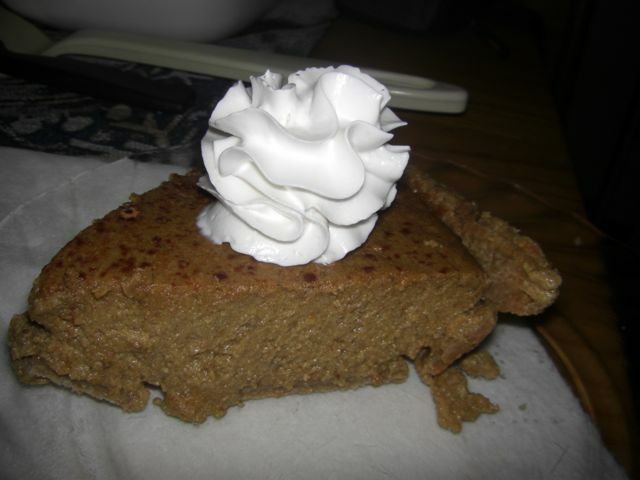 I’ve tried other vegan pumpkin pies and none come close to this recipe. The firm tofu in the recipe really gives the pie the texture it needs to have the delectable mouth feel that it does. The pie is spiced perfectly with just the right amount of sweetness. Top it off with your favorite vegan whipped cream, and this dessert is pure heaven. 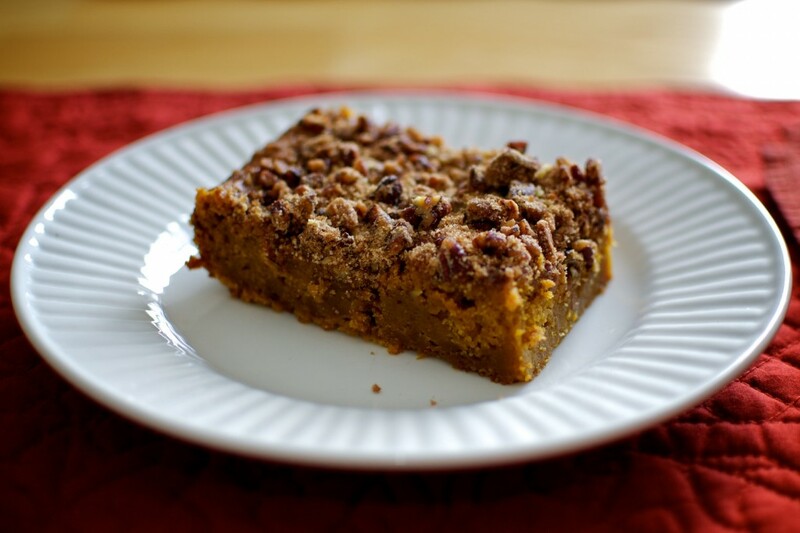 This dessert gets a standing ovation and a solid 5 out of 5 carrots on my veganlicious scale!